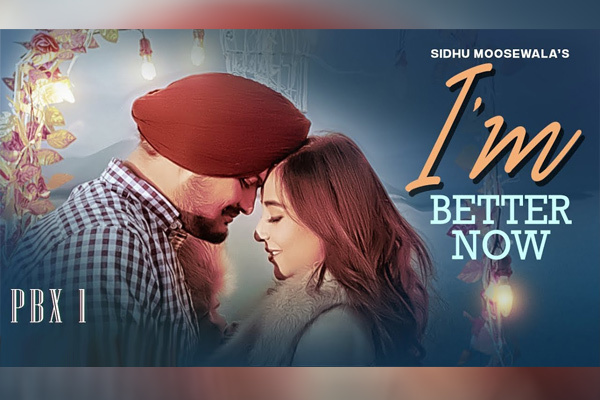 MUMBAI: We have vastly observed that Punjabi tracks are mostly known for their romantic and party hits, with this T-Series offers yet another romantic single I’m Better Now for the viewers. This track is a romantic heartbreaking number sung by Sidhu Moosewala featuring Snappy. Did the song prick you at the end? Well we felt the same while watching this song. Visuals to the track will emotionally connect to all the people who are going through some relationship problems. The leads in the song have emoted the scenes pretty well as their expressions will straightaway give that message to you. Singer Sidhu Moosewala has not only featured in the song but has also written its lyrics. He has sprung his essence into the song. Storyline of the song showcases that the leads who were a couple before faced many problems in their love life, which led to their parting of ways. And after a couple of years when they bumped into each other there comes a point where they break into tears. They still have feelings for each other but they have moved on in life with time. T-Series has always brought the best and diversified music the audience, to which most of their Punjabi songs are a huge hit. Also Punjabi heartbreak/romantic tracks glorify the meaning of the song and I’m Better Now is the best example of this. The track collectively expresses all the emotions, as one will witness there is anger which is thrown in some scenes, sadness, stress, love, with this big package the song carries immense weight --age and is sure to garner more affection.